Please share, retweet, pass on! 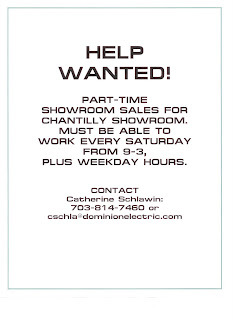 In case you can't read the picture, we're looking for a part-time sales associate for the Chantilly showroom. He or she must be able to work every (or most!) Saturday from 9 to 3, plus there would be weekday hours. No lighting experience is necessary ~ interior design or retail sales experience would be great, but not required. A great attitude and willingness to learn are our most desired qualities! 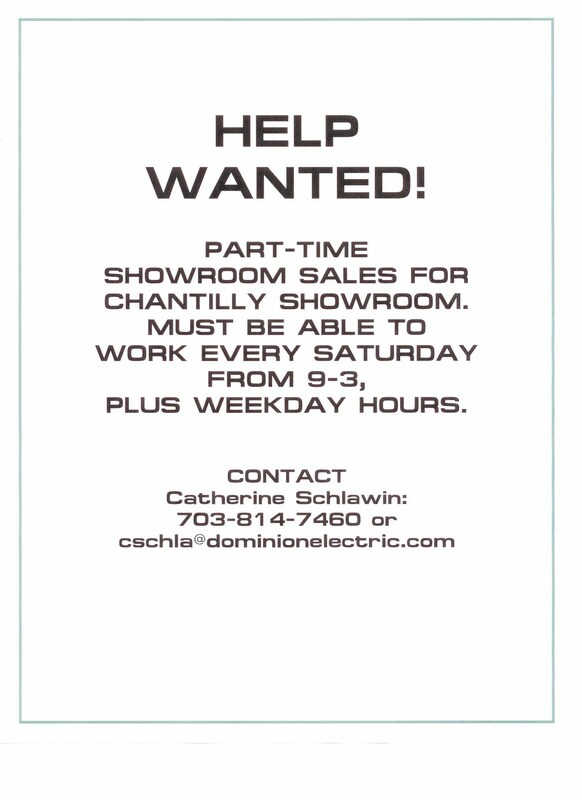 Please let me know if you'd like any other info or would like to apply (Catherine Schlawin, 703-814-7460 or cschla@dominionelectric.com).